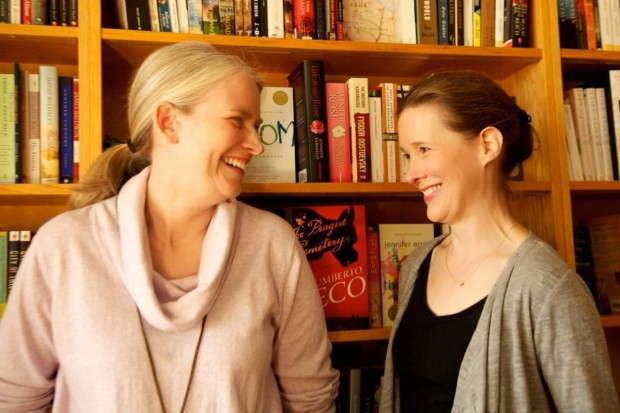 When Karen and I decided to open Parnassus there were so many things I never considered, namely the wealth of fantastic authors we would be able to bring to Nashville. Giant book tours are a thing of the past for all but a handful of top-selling authors, and those authors are in high demand. So please, look at the list of the people who are coming to Nashville this fall and share our joy. Outside of New York, DC, Boston, Portland, and Seattle, you would never see a line-up like this. Attendance really matters here, both because you wouldn’t want to miss any of these great events (the readings are going to be pretty thrilling), but also because we want to show the New York publishers we can pack a house. That’s the thing that will ensure getting more wonderful writers in the future. While we get a lot of great writers and programs in the store, there are times we have to move the author to a larger venue. We couldn’t have Patricia Cornwell or Jon Meacham or Caroline Kennedy (Caroline Kennedy!) in our little bookstore without creating a serious fire hazard. This is how Parnassus came to be a part of the Salon@615 series, a partnership between our store, the Nashville Public Library & Foundation, and Humanities Tennessee, with each party bringing their own unique contribution to the mix. As we all know, it takes a village, and together we’re working to make Nashville an even more exciting community. As I look over this list, I’m pleased to see that many of these authors represent the connections, returned favors, and good will of my professional life. For example, when Sherman Alexie heard we were opening a bookstore, he emailed me right away to say he would be there to support us with his next book. (And don’t miss Sherman. He is as brilliant a performer as he is a writer. This is a man who puts on a show!) Dennis Lehane said he would come to Nashville if I would agree to come and speak at his writer’s conference in Key West, (“A bit of horse trading,” he told me, “in which the two of us are the horses”). Louise Erdrich is a fellow author/independent bookstore owner whose store I went to on the hardback tour of State of Wonder, so she very kindly said she’d come and visit us. (And I LOVE her new novel, The Round House.) There’s a story with almost everyone on this list — Emma Donoghue and I blurbed each others books, Colin Meloy is the brother of one of my best friends, the author Maile Meloy; Barbara Kingsolver and I have the same publicist; Michael Chabon and I know each other from a writers’ colony, AND I used to work for his editor when I was 20. It just goes to show, you have to lay down the tracks for a great reading series years and years in advance. I know this is a lot to take in but please, take it in. This is an extraordinary opportunity for all of us. Be sure to make note of the different times and locations. We’re looking forward to seeing you. **Straight signing only, no reading or author discussion. **Event intended for parents, educators, and children’s lit enthusiasts.